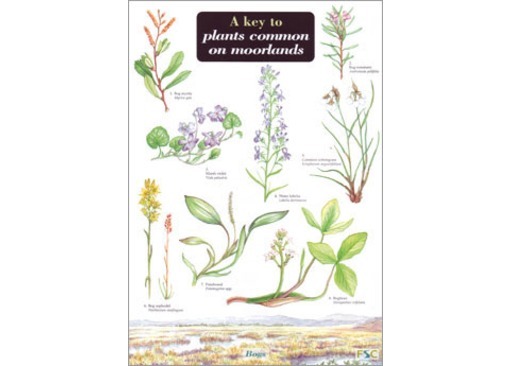 Need an identification guide to moorland plants? 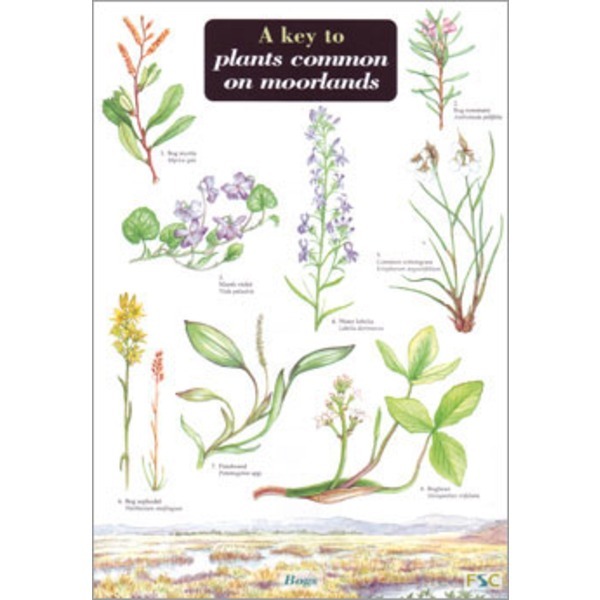 This fold-out chart is designed to aid the identification of moorland and heathland plants in the British Isles. 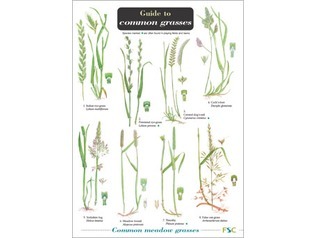 Arranged by habitat, the chart includes plants of peat bogs (such as bog asphodel and bog myrtle), wet heath (such as cross-leaved heath and sundews), dry heath (such as cowberry and bilberry) and upland woodland (such as gorse and foxglove). 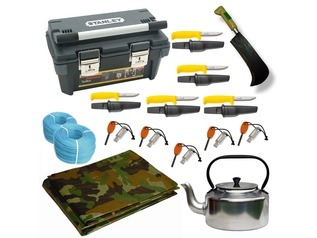 The chart is suitable for students (14+) carrying out fieldwork in moorland or heathland, such as wet-dry transects, surveys of heather management and studies of heathland succession. 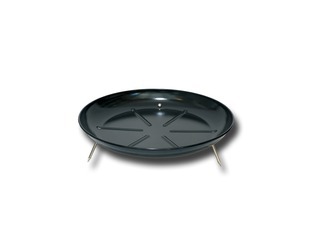 The key uses non-flowering parts of the plant and should be applicable at most times of the year, even when plants are not in flower.